The Pasadena City College Venture Launch website was designed and developed by Fire Lite Design Studio. 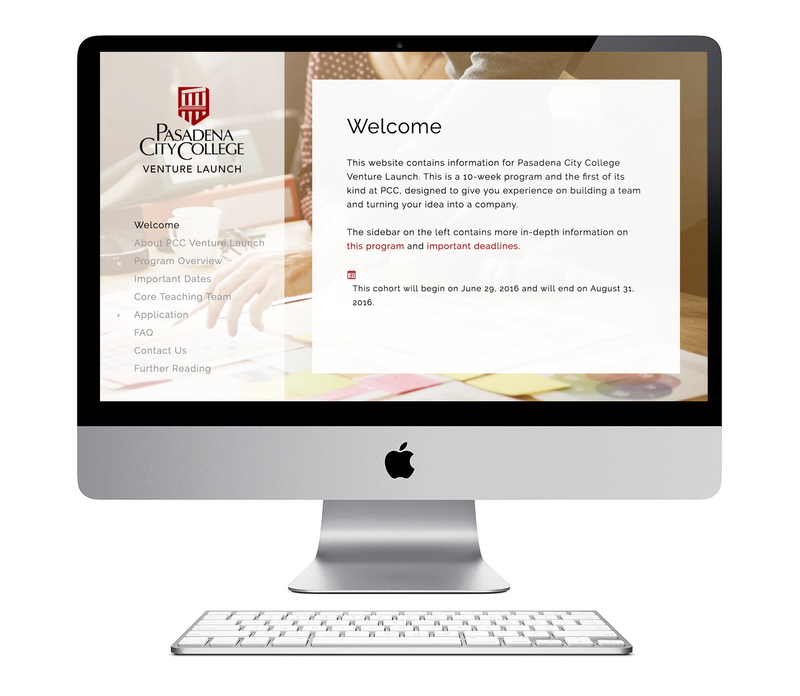 Since Pasadena City College already has an established logo and brand, Fire Lite Design Studio collaborated with them to design a website that stayed true to their brand and developed a user-friendly application process for new cohort members as part of our web development services. You can visit PCC Venture Launch at pccventurelaunch.com.